Ask any student what subject gives the most anxiety and chances are the answer would be math. Millions of kids have problems with math, they struggle to understand the subject often creating high levels of mathematics anxiety (HMAs). This form of anxiety creates stress that even uses the brainpower needed to learn and solve math problems. Those who suffer HMA report feelings of tension, apprehension, and fear of math. In her 1978 book, Overcoming Math Anxiety, Shiela Tobias writes that math anxiety causes people to have low self-esteem, lack of confidence and is predisposed to failure. She states that "math anxiety is not a failure of inellect but a failure of nerve...". She further points out the difference on how culture looks at math, Asians credit hard work in succeeding in mathematics, Americans look at it as an ability. Public exposure - Students are usually asked to solve the problem in front of their peers. There is no argument on the importance of practical math skills. For students to understand this, the subject has to be made relevant to their daily lives. New teaching techniques have been proposed to allow them to experiment with math as well as increase their engagement with the subject. The direction would be more towards exploration, thinking, and conjecturing rather than learning and memorizing rules and procedures. 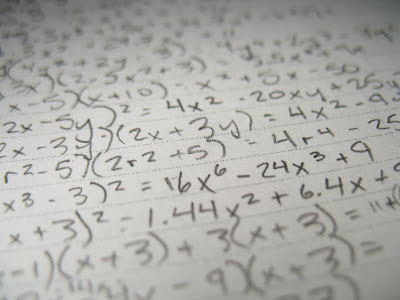 Ian M. Lyons of the Department of Psychology at University of Chicago and Sian L. Beilock of the Department of Psychology at Western University in Ontario looked at what are the foundations of the feelings of dread caused by math anxiety. They wanted to know if its psychological or is it "grounded in simulation of a concrete, visceral sensation – such as pain – about which they have every right to feel anxious". Their study is published in the open access journal PLOS ONE. The researchers found that in individuals who experience high levels of anxiety when facing math tasks, the anticipation of math increases activity in regions of the brain associated with the physical sensation of pain. The higher an individual's math anxiety, the more such neural activity was increased. According to the researchers, "We provide the first neural evidence indicating the nature of the subjective experience of math-anxiety." Previous research has shown that other forms of psychological stress, such as social rejection or a traumatic break-up, can also elicit feelings of physical pain. However, the current study examines the pain response associated with anticipating an anxiety-provoking event, rather than the pain associated with a stressful event itself. This new research suggests that simply anticipating an unpleasant event may be associated with the activation of neural regions involved in processing physical pain. The authors say their results indicate that it is not the performance of a mathematical task that elicits this reaction, but merely the anticipation of math. Science and Math Tracks Crime And Gang Activity In L.A.